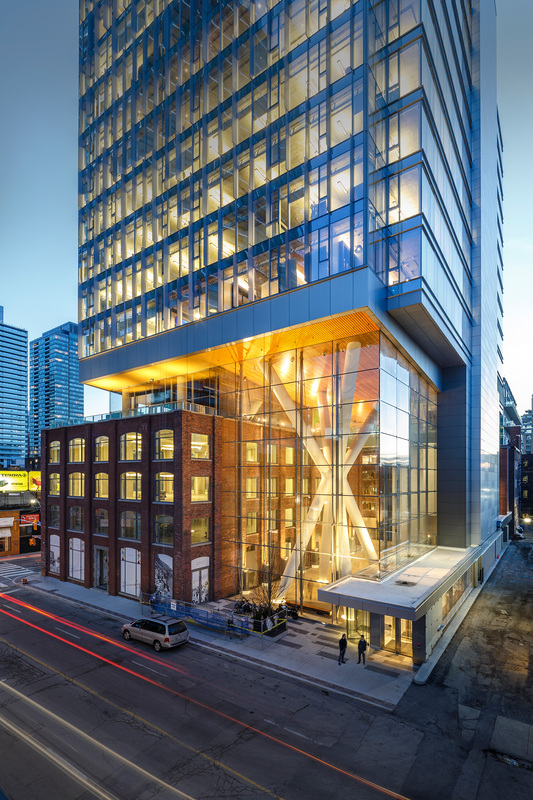 The Queen Richmond Centre West in Toronto's Entertainment District is a 17-storey complex integrating two historically significant brick-and-beam buildings with a new high-performance office building. The 75-foot-high atrium offers a generous publically-accessible urban space animated with retail and three unique structural features: the Delta Frames. 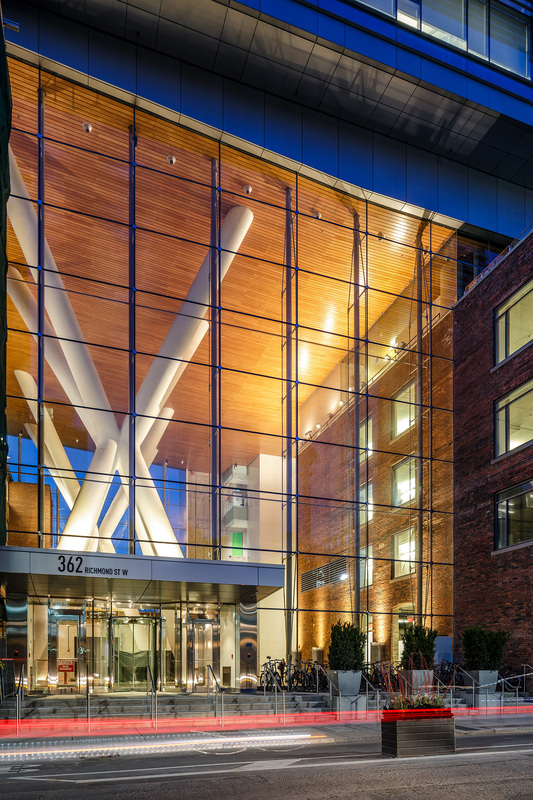 The offices incorporate state-of-the-art technology to provide health and comfort for its occupants and are targeted to achieve LEED Gold. 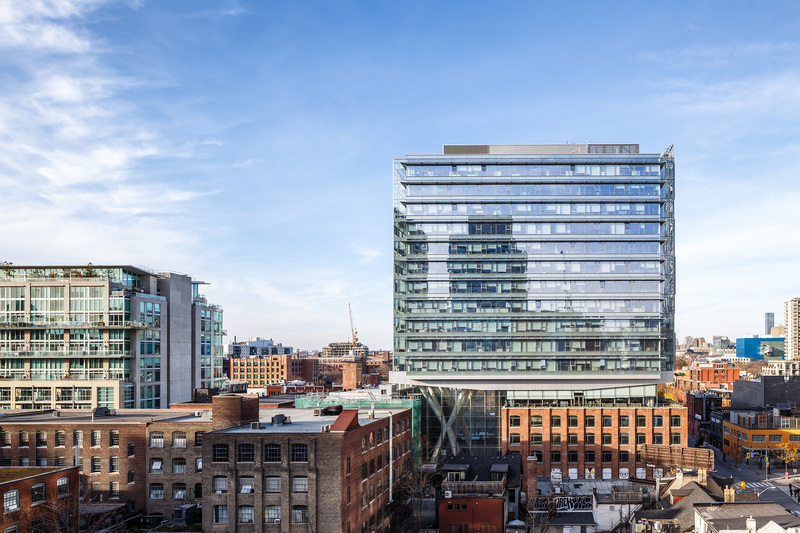 The building is bringing new employment and life to this rapidly growing neighbourhood; it respects a proud past while showcasing a positive future. 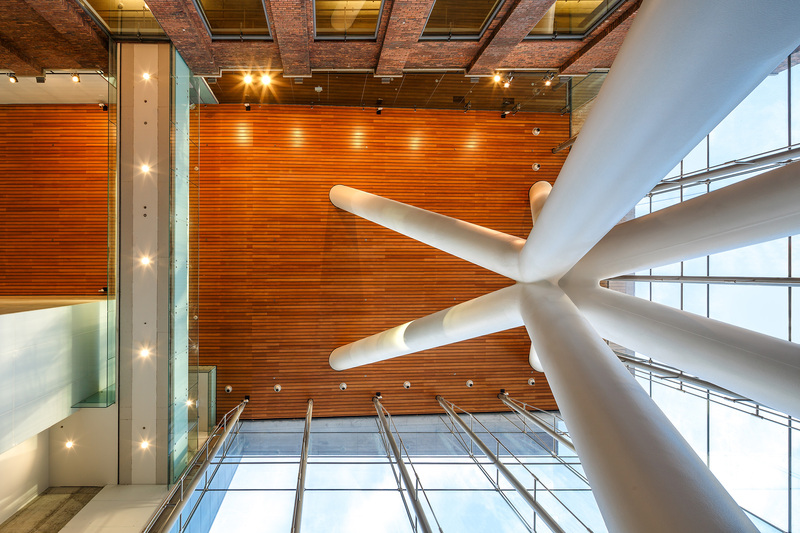 "This project celebrates a bold repurposing of existing brick buildings and creates a public realm out of a tall atrium that sits between them and the new office building that hovers above. Members of the public are drawn into this interior public realm that is generous in height and made additionally inviting with giant sculptural columns. 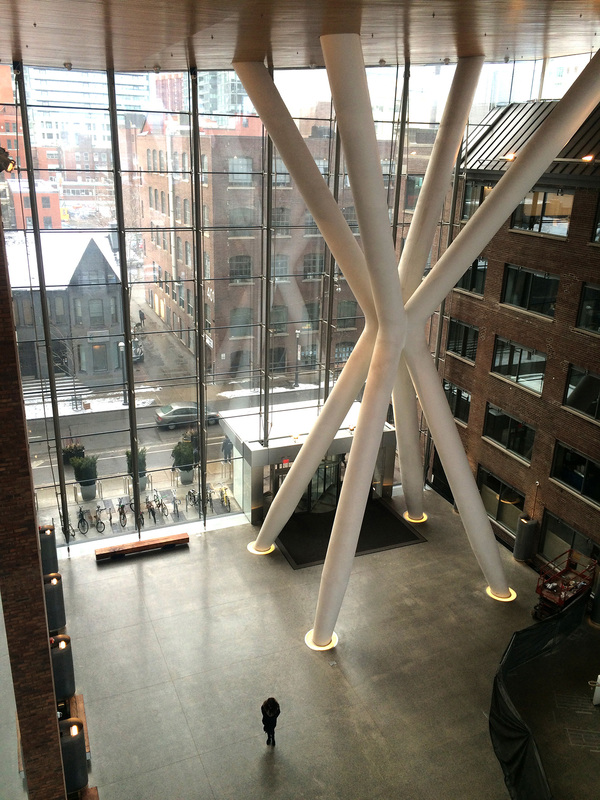 The large atrium lobby retains and celebrates the shells of the historic industrial brick buildings. The old brick buildings successfully became assets for the new design rather than barriers to its execution. The result is an inviting urban landmark for pedestrians."